Many of you have sent me personal messages, email, cards, flowers, and so many other good wishes. I want to express my gratitude for that; the avalanche of goodwill has been really heartening during a difficult time. The owner of the Lipinski violin has requested I post the following statement here. It is below, unedited in its entirety. Due to my devastation at the attack on you, Frank, and the theft of the violin, I feel compelled to write this. First, I’m so happy that you are safe. I speak to your many friends, whose responses to this event have been so touching. 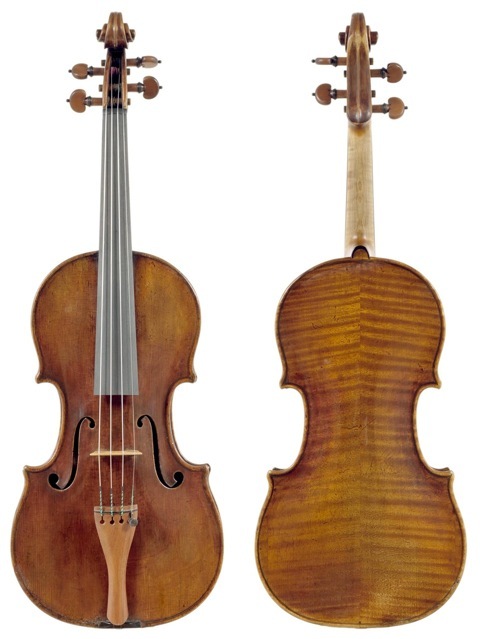 It has been my joy and privilege to own the Lipinski Stradivari in recent years. I have thought of myself more as a guardian of a treasure than an owner, a treasure that needs to be seen and heard. It has been in my family for over five decades, deeply loved and used in performance across the world. As a non-violinist, non-public figure, it has felt more natural to me to remain relatively anonymous. Not expecting the violin to participate in this tendency, I had the good fortune to find Frank to take loving care of it every day and to use his musicality and virtuosity to express his vision with its glorious voice. That he was concertmaster of the MSO was especially appropriate, as another goal was to give Milwaukee the gift of being able to hear the violin frequently. He has also acted as its human face and voice, giving interviews exploring his thoughts and feelings on getting to know this violin. He has put remarkable effort, talent and enthusiasm into making the first modern recordings of the Lipinski. It was a joy for me to feel so welcomed by Frank to write some of the historical essays for the website of “A Violin’s Life.” All this he has done in exemplary, energetic fashion and for all of it I am grateful. I am even more grateful that his terrible experience on the night of Jan. 27 did not result in permanent injury. I had left the concert hall just a few minutes earlier and thinking of what then happened so quickly is very painful. As a child overhearing long, expert practice sessions on the Lipinski, I didn’t realize that it was exceptional. To me, that was just how violins sounded. Understanding its capabilities came later: the pure, strong voice, clear, light and dancing, dark, brooding, poignant, tender, ebullient, expressing any emotion the player was feeling. Its loss is devastating. Perhaps it’s appropriate to say also that I’m not part of any upper echelon, musical or other, just a person who loved her family violin with all its memories and three hundred years of history more than the many opportunities to sell it. My heart is broken. I am very grateful for all the help given by the Milwaukee Police and other law enforcement organizations, the MSO, and those who are offering the reward. If anyone knows anything and can help, I appeal to them to come forward. Frank, I could never have guessed that after all you have done, you would be physically attacked. I’m so sorry. The bond between the instrument and its human has nothing to do with greed or want. It has everything to do with life, love and the unique spirituality which surpasses where we are, here on earth. We grieve with you, Frank Almond, on the theft of your Stradivarius. Whoever has done this to you has robbed anyone who has heard or will hear, felt or will feel the pleasure of your beautiful music. We have been robbed of your next concert full of freedom, joy and brilliance. We have been robbed of the untainted chance to forget the ice cold stark realities and we grieve…and wish it to be returned. How miserable if this has been done so it can be stuck in a glass case, owned, only to be enjoyed by one, without the proper giving of life, as you so beautiful did. It has been created to be played, to breathe with its human, so it might not wither and die. Praying this is not a fatal situation, that the criminal minds would be caught and the violin would be reunited to its rightful heir. I am appalled by this theft, and extend sympathy for the shock and injury to Frank Almond and to the owner. As violinmakers, we humbly work to create “tools” for the sole purpose of outwardly expressing the player’s inner music. Even the most successful of these endeavors lay silently in their cases waiting for the musician’s touch, bringing them, only then, to life. May this most amazing violin return to the musician and owner soon, so that we might again hear the music! I wish there was something solid we could DO to find that beautiful violin. I trust the police and the authorities to do their best to recover it and somehow believe it will be found, but this seems like an inestimable loss to Frank, the MSO, and the Milwaukee community. I predict upon the violins return, you will have the largest attendance you’ve ever had! So glad to hear you have the violin back! It definitely belongs in your hands for this chapter of its life. 🙂 I love hearing you play it – your tone is amazing!